Although your basement is packed with the items that you don’t know what to do with, at some point of the moving process you will need to figure out how to deal with them. Basements and attics seem to be the most neglected and the most cluttered rooms in the house where people store items that they may need occasionally (or never). Only when you are about to pack and move your basement, you will realize that you have been holding onto some unnecessary items. How to arrange your basement for moving? – Starting early will give you the possibility to decide which items are worth moving. Your basement probably contains a lot of senimentals like your kids’ first toy, handcrafts that your loved ones made for you, old photo albums as well as numerous useless items. Remember that moving house is a time-consuming affair and you can benefit a lot from staring moving preparations well in advance. – Sort through your basement and be objective when it comes to deciding which of the items to keep and which of them to discard. Evaluate your needs and your new residence carefully. No matter how much you want to move all the items from your basement, you will need to reconsider if all that clutter cannot fit into your new home. Furthermore, packing your new place with the old and useless items is extremely unreasonable, therefore, you need to make an efficient floor plan in order to make the most of your new place. – Chances are that you will be surprised to find some items that were stored long long ago. Also, there can be some hazardous materials that you NYC movers won’t transport in their vehicle (motor oils, propane tanks, paint, cleaning supplies, chemicals, flammable objects,…), so make sure to dispose of them in an eco-friendly way. – Organizing a garage sale. Provided that you start your moving preparations early, you may be able to organize a garage sale and earn some extra cash that will certainly cover some part of moving expenses. On the other hand, something that you consider worthless, other people may find valuable. Your donation may make some people happy, so don’t hesitate to contact local charities and offer your help. Needless to say, items that still have practical or sentimental value are worth the effort and should be moved to a new place if there is enough space. – Ask your friends and family members to help you pack and move the items from your basement. Hiring professional moving company is always an option, especially if you are trying to have as stress-free moving experience as possible. 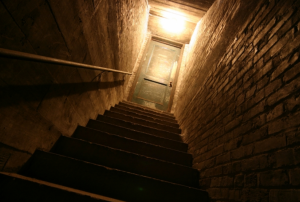 Items in your basement are usually rarely used, some of them even unnecessary. What are the odds that you will need some of them before or immediately after the moving day?Therefore, it is highly recommended that you start packing early if your storage areas like garage, attic or basement are packed with miscellaneous items. – First create an inventory of all items and check their condition. – Once you decide which items to move, make sure you use quality packing and protective materials, since there might be some delicate and expensive items like silverware, glassware, antiques, figurines, souvenirs, artwork, holiday decorations that should be packed with utmost care.